The name Gaius shows up many times in the New Testament (Acts 19:29, 20:4, Romans 16:23, I Corinthians 1:14) but we have no way of knowing if the Gaius in III John is one of these or a different one. Truth is central to John’s teaching. The Greek word for truth is used 109 times in the New Testament. 43 of those come in John’s writings. In III John it used seven times in fourteen verses. In verse 1 truth and love are woven together. Our love for one another, like John’s love of Gaius, must be in the truth. Love without truth is a lie. John is not above praying for Gaius’s physical well-being. Many Christians find this beneath them. They only want to pray for “spiritual” issues. John does not share this view. John in interested in people, not just the church. In these fourteen short verses he mentions Gaius, Diotrephes, and Demetrius. It also clear from verses 5-7 that he is aware of specific deeds done by Gaius and his church to travelling strangers and brothers. John does not simply show up on Sunday and shake hands. He knows the people. He even closes the letter reminding Gaius to greet the friends by name (verse 14). III John is primarily about how to receive Christians, probably missionaries, who arrive at Gaius’ church. John tells Gaius that he does well in whatever he does for these “brethren and strangers.” He also does well by “sending them forward on their journey in a manner worthy of God.” Hospitality is not just welcoming someone, but also sending them away properly. When we welcome these traveling Christians we become “fellow workers.” (verse 8) We do not have to go to the mission field or be in full time ministry to work for the spread of the gospel. By welcoming those full time workers with care and financial provisions we take part in their work. Paul says the same thing in Philippians1:5 and 4:15. Diotrephes is one of the more notorious characters in the New Testament. He loves to be first or to have the first place. How does this translate into action? What happens when a man or woman loves to be first? They end up rejecting those God has place over them. Notice Diotrephes does not receive the Apostel John’s rebuke (verse 9). They end up rejecting Christians who are passing through (vs. 10). Again these Christians passing through are probably missionaries. Finally, he also forces those around him to reject these missionaries passing through (vs. 10). If they do not reject these travelling missionaries he kicks them out of the church. Diotrephes is a leader at Gaius’ church with some influence. He is probably a fellow elder. Pride leads to the rejection of authority, the rejection of fellow workers, and persecution of those who do not hold your views. Nothing destroys Christian fellowship like pride. God does not allow men like Diotrephes to get away with hurting his church. He will answer for his actions and his words of nonsense (vs. 10) when John arrives. Too often we despair over wicked leaders. But Jesus loves his bride. He will deal with Diotrepheses in our churches. The verb “imitate” (vs. 11) is only used four times in the New Testament. 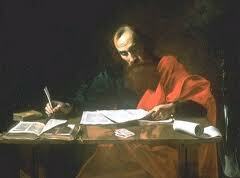 In every other place (II Thessalonians 3:7, 9 and Hebrews 13:7) it means to imitate your leaders. The noun form often means this as well (See I Corinthians 11:1). It probably means the same thing here. John is telling his readers and Gaius, “Do not imitate Diotrephes. Imitate Demetrius.” It is possible both of these men are leaders in the church. The important point here is that we imitate people, not ideas. We are to follow men. We can learn through CDs, internet, etc. But we can only imitate the men who we see. Pen and ink are not enough for John. He wants to see them face to face. Here is Holy Scripture written by the hand of the Apostle John and inspired by the Holy Spirit and yet face to face trumps it. There is much value in using the different mediums God has given to us to communicate with one another. But there is no substitute for being face to face. This same idea is expressed in II John 1:12 and throughout Paul’s letters. John’s gentle, pastoral tone in this letter is a good model for all men who aspire to leadership. He is warm, gracious, and encouraging. Like a good shepherd he is going to protect the sheep from the wolf Diotrephes. He calls them his friends, which reminds the reader of Christ’s words in John 15:13-15. And he ends with his desire to see them face to face. In fourteen short verses John gives us a model of loving, pastoral ministry.